With over four hundred years of combined field industry experience we are committed to putting all of our experience into each and every business encounter in hopes of keeping our customers coming back to us for all of their titanium bar needs! Our products will not be topped and we want to prove it to you! Get in touch with our customer service representatives today via telephone or email to learn more today! Titanium bars are common titanium mill forms of cylinders or rods which are produced during the process of titanium metal extraction and used as stock supply to titanium parts manufacturers. Bars can be constructed as square, hexagonal, flat or round edged and are available in a number of titanium alloys or grades. Titanium metal is a popular manufacturing material due to its properties of excellent corrosion resistance and high strength to weight ratio. It does not occur naturally in its pure form, although it is found in many other elements, and so it must be extracted from ores or mineral deposits. The most common methods used to extract titanium are the Kroll method and the Hunter method. Once titanium has been drawn out from its element, it is melted down into stock shapes and sizes which are then available for transportation and secondary fabrication. Regulated bar sizes ensure that manufacturers can efficiently transport, store and machine the metal. Common processes used to create titanium bars include hot forging, hot rolling, polishing, machining, extrusion, welding, casting and spinning. These techniques are also implemented in the fabrication of titanium parts for industries such as aerospace, medical and dental, automotive, agricultural, food processing and more. 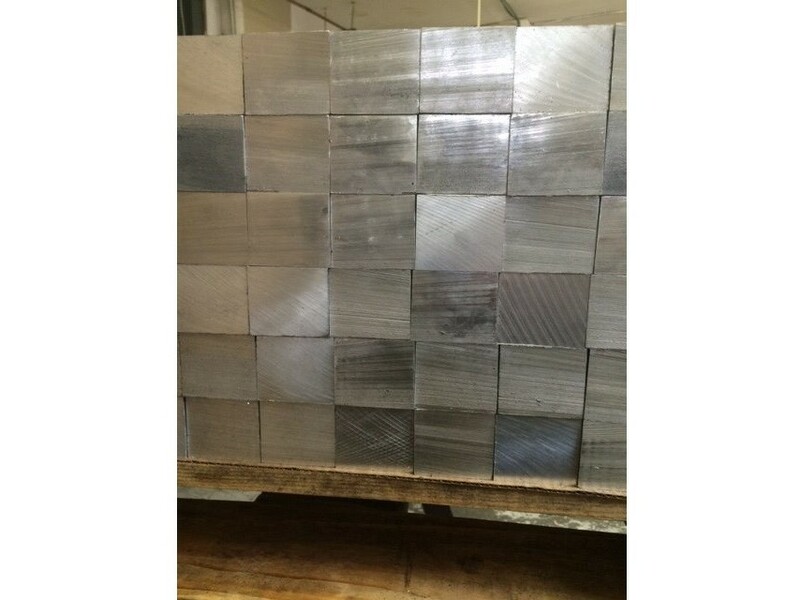 Manufacturers typically buy titanium bars as stock supply to then be fabricated into specific parts; however, they can also be used in concrete or structure reinforcement in construction industries. Other stock supply options include titanium plate, sheet and wire. Titanium is alloyed with other metals such as iron, aluminum, vanadium and others in order to improve its physical handling characteristics. Manufacturers can determine the most suitable titanium alloy for a specific application by using the classification of titanium grades. These separate alloys into groups dependent on their composition and performance features. In addition to excellent strength, durability and resistance to both corrosion and wear and tear, titanium has a low elasticity level which can easily result in surface damage. It is also an extremely hard metal which requires careful machining techniques. Its low conductivity and temperature resistance however make titanium an excellent choice for products such as jet engines, missiles, medical prostheses, orthopedic implants and other similar applications. Resistance not only to corrosion from water, but also from acid, physical stress, oxygen, salt and microbiological elements, titanium is an ideal and effective choice for underwater, marine and shipping applications. While titanium is a relatively expensive manufacturing material choice, the benefits of its durability and strength will result in longer product life and lower maintenance costs.